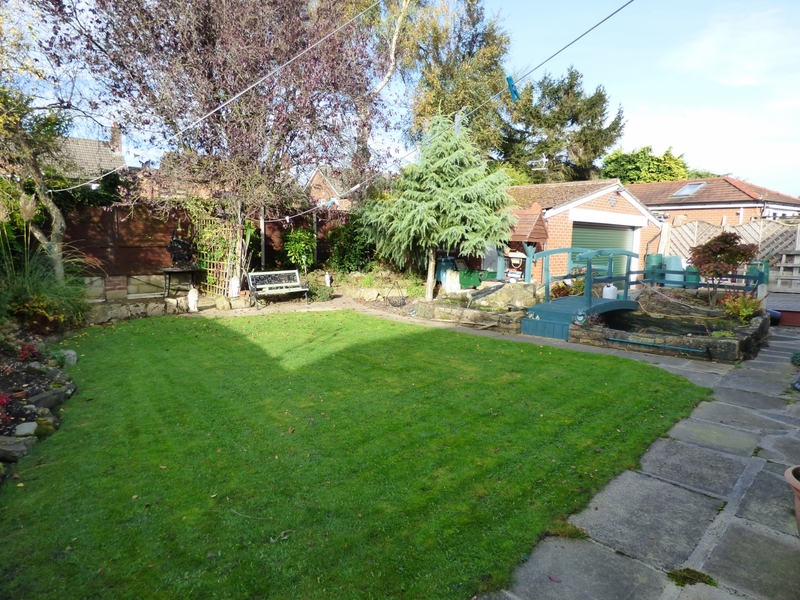 We are delighted to market for sale this unique & immaculate four bedroomed family sized home situated on a larger than average plot with private gardens to rear. 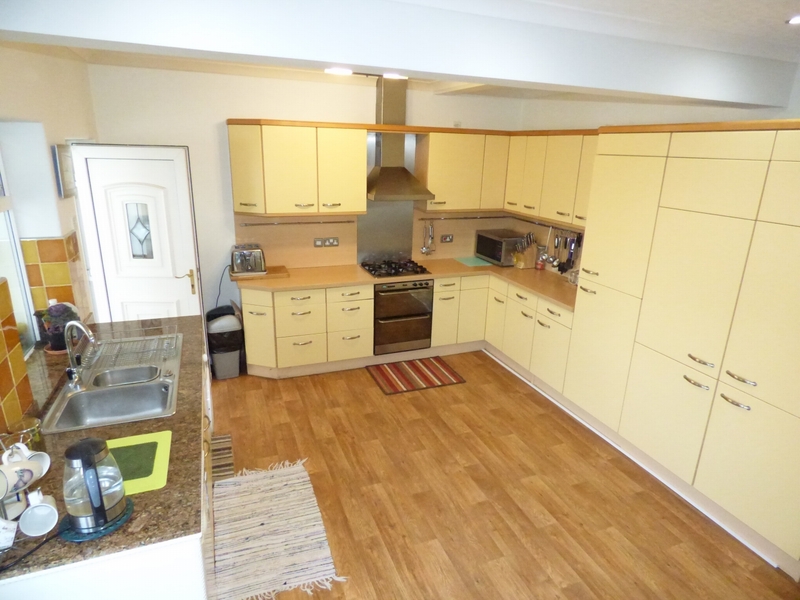 This property offers flexible accommodation and must be internally viewed to fully appreciate what the property has to offer. 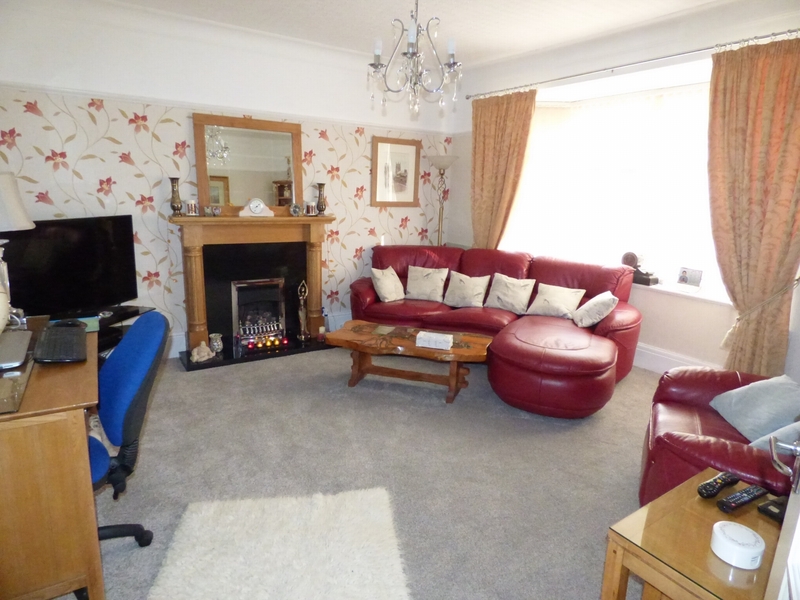 The property offers many benefits and features, entrance hall with skirting board lighting, impressive 14'10" lounge with feature fireplace, separate dining room / fourth bedroom, inner hallway leading to master bedroom, four piece bathroom suite, fitted dining kitchen, shower room. 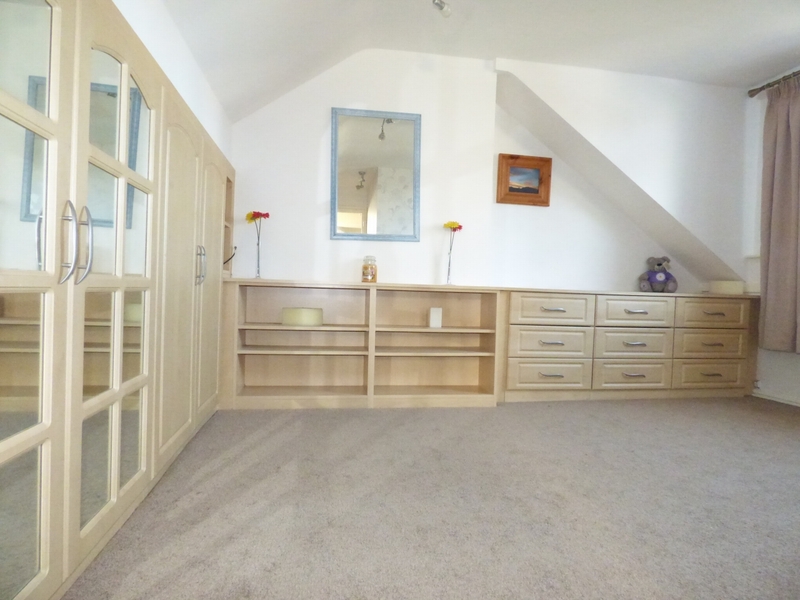 The basement comprises of five rooms including utility room, laundry and workshop area and has two additional general storage rooms. 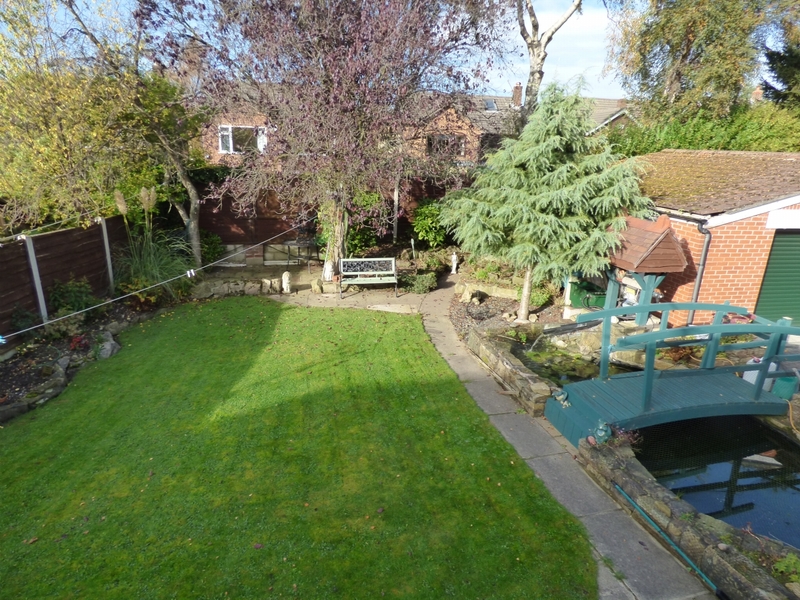 Externally there is a detached double garage, driveway providing off road parking for a large number of cars and landscaped gardens to rear with pond including a bridge and waterfall. uPVC double glazed entrance door and windows to porch. 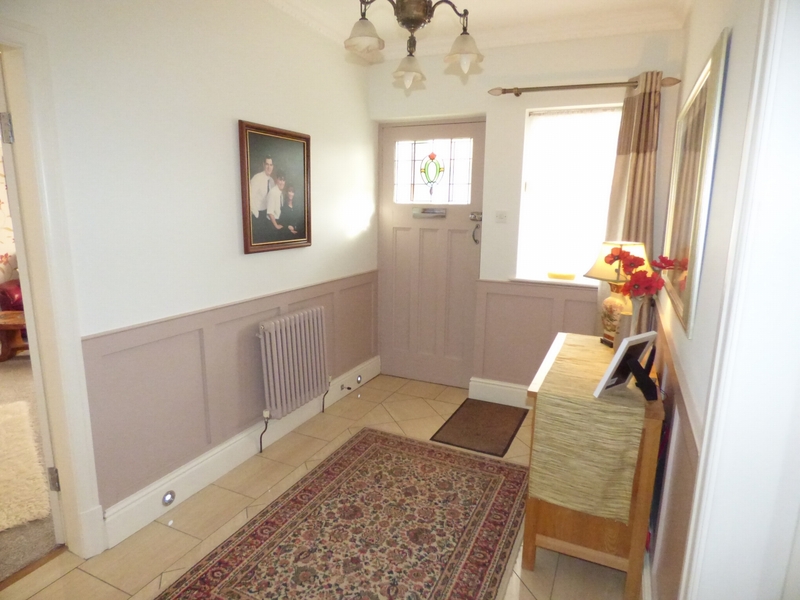 Panelled walls, skirting board lighting, radiator, tiled floor, coving and ceiling rose. 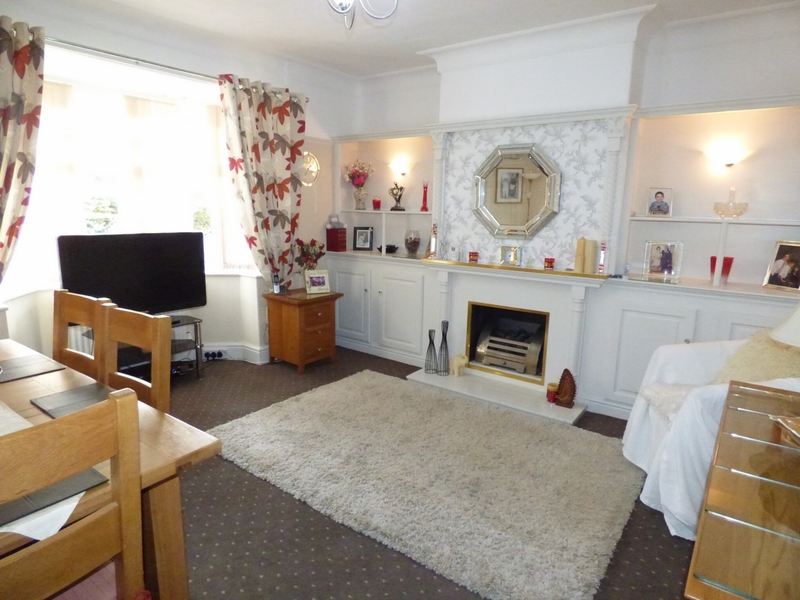 uPVC double glazed bay window to front aspect, feature fireplace with inset electric fire with marble hearth, display shelving and cupboards to both alcoves, double radiator, coving to ceiling, picture rail. uPVC double glazed by window to front asepct, feature living flame gas fire with marble effect back and hearth and timber surround, double radiator, coving to ceiling, picture rail. Display shelving, ceramic tiled flooring. uPVC double glazed window and door leading to sun terrace, uPVC double glazed window and door to conservatory. Modern fitted kitchen comprising of a range of wall and base units, complimentary work surfaces incorporating a one and a half bowl stainless steel sink unit with mixer tap, built-in oven and four ring gas hob with extractor canopy over, recess for fridge, integrated dishwasher, fridge and freezer. 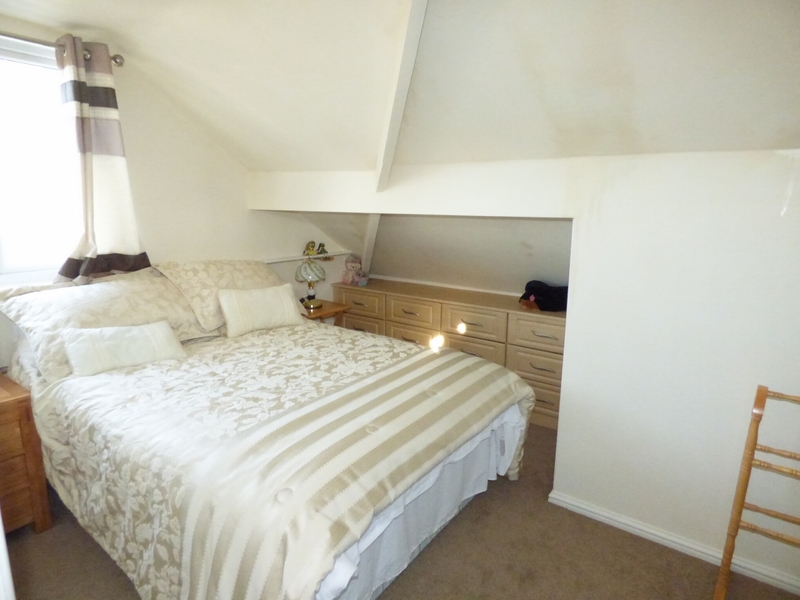 Double radiator, part tiled walls, stairs leading to first floor. Brick based uPVC double glazed conservatory with French doors leading to additional patio area, ceiling fan and vent. 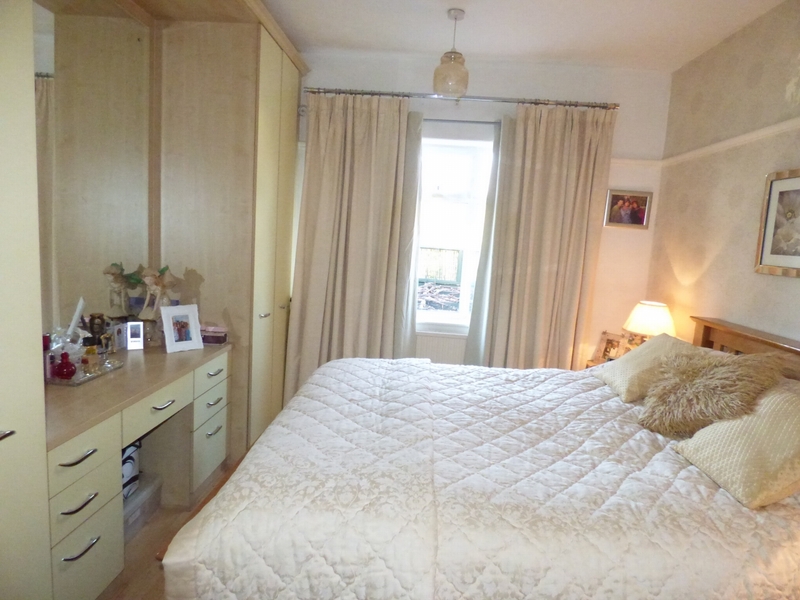 uPVC double glazed window to rear aspect, range of fitted wardrobes and vanity unit, picture rail, laminate flooring. 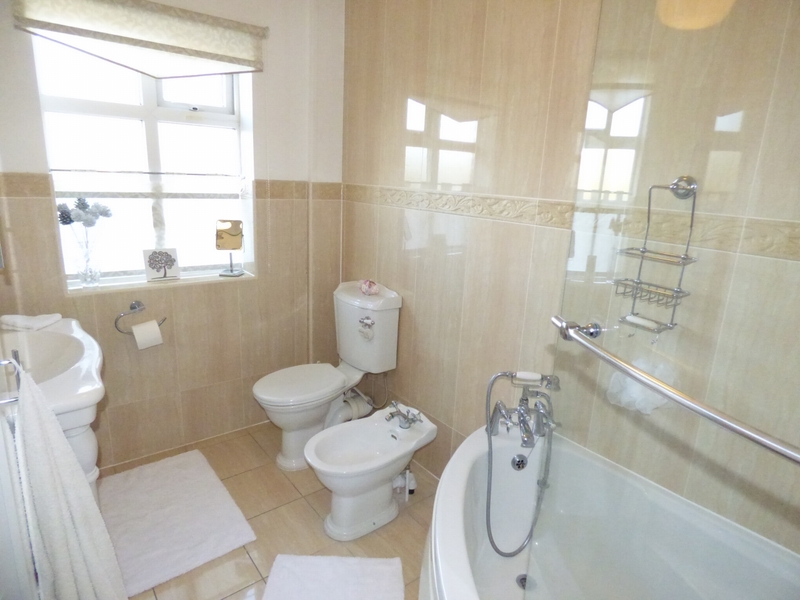 Four piece suite comprising of a corner bath with shower over, low level W.C., pedestal hand wash basin and bidet. Heated towel rail, tiled walls and floor. 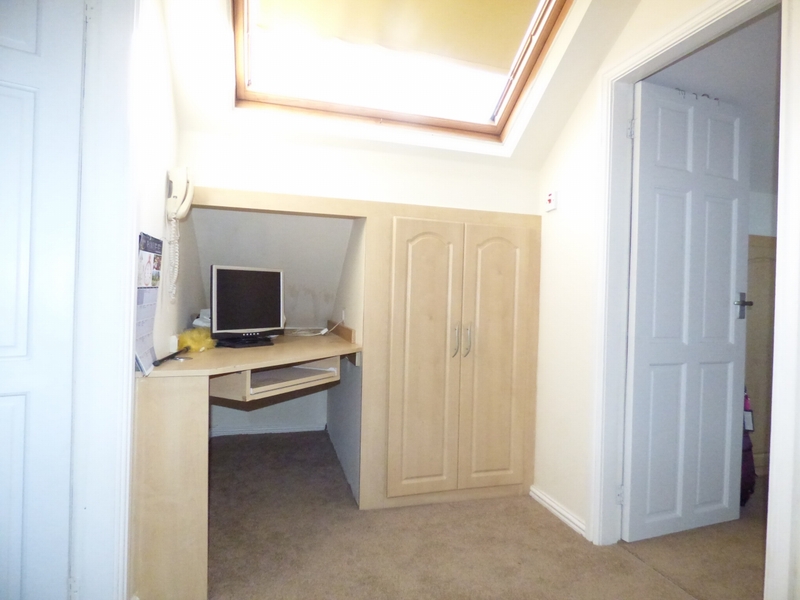 Velux window to front aspect, built-in desk unit with matching storage cupboards. uPVC double glazed window to rear aspect, range of built-in shelving and drawer units with storage cupboard to eaves, radiator. uPVC double glazed window to rear aspect, range of built-in drawer and storage cubpoards to eaves, radiator. uPVC double glazed window to rear aspect, suite comprising of walk in shower unit, low level W.C., hand wash basin. Heated towel rail, part tiled walls, shaver point. 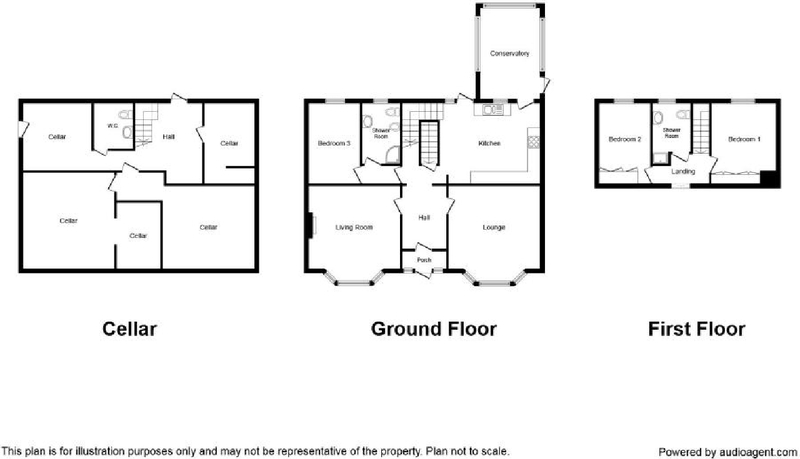 Five rooms that are available for multiple uses and and additional two rooms for storage. Power and lighting, tiled floor. Window to rear aspect, Belfast sink, low level W.C., worksurface, tiled floor, plumbed for automatic washing machine. uPVC double glazed door leading to garden area, double radiator, power and lighting. 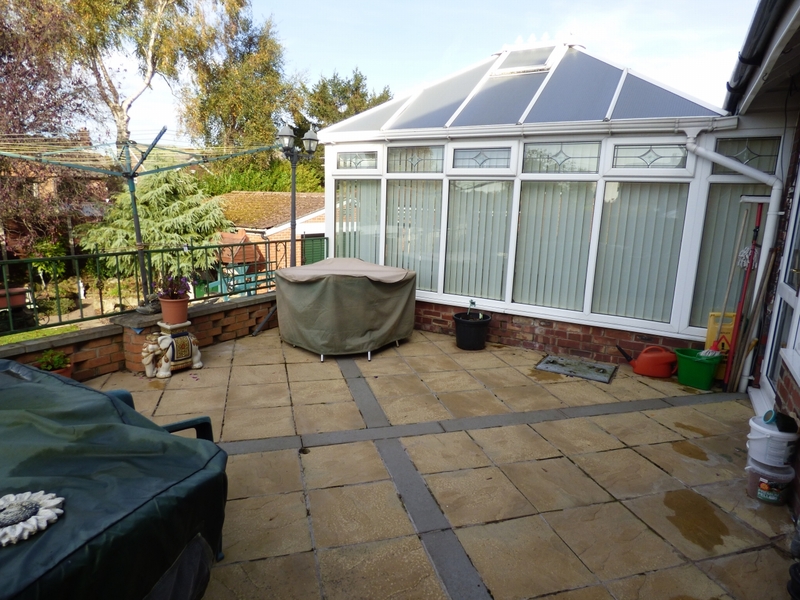 The rear garden is landscaped with a raised sun terrace. 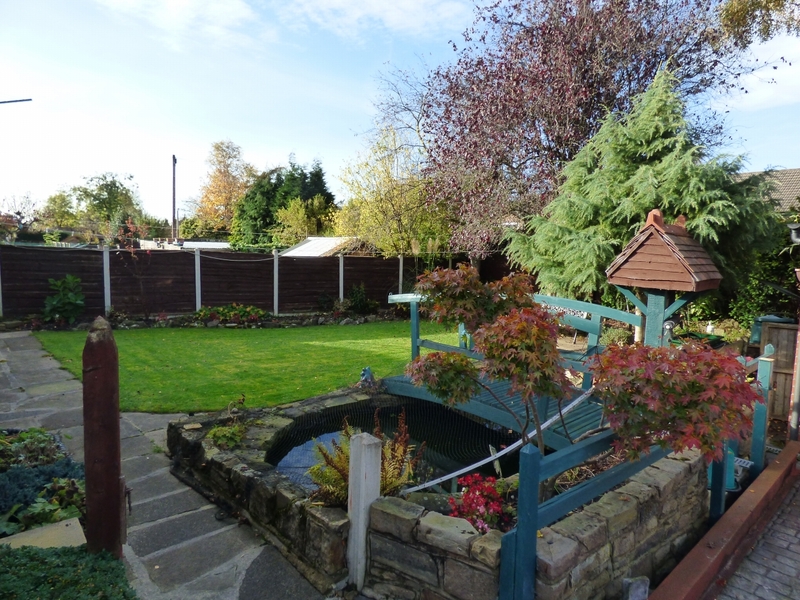 The garden is mainly laid to lawn with additional seating area to the rear, well stocked and mature planting and shrubs and also boasts a pond with bridge over and a wishing well with water feature. 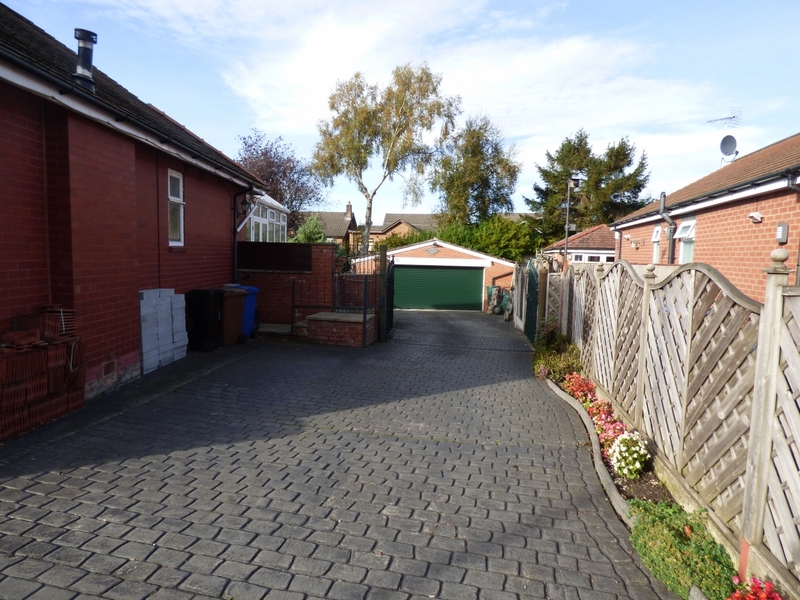 To the front of the property is a large decorative printed concrete driveway which also extends to the side continuing to a detached garage via wrought iron gates, there are also raised flower beds to the front. 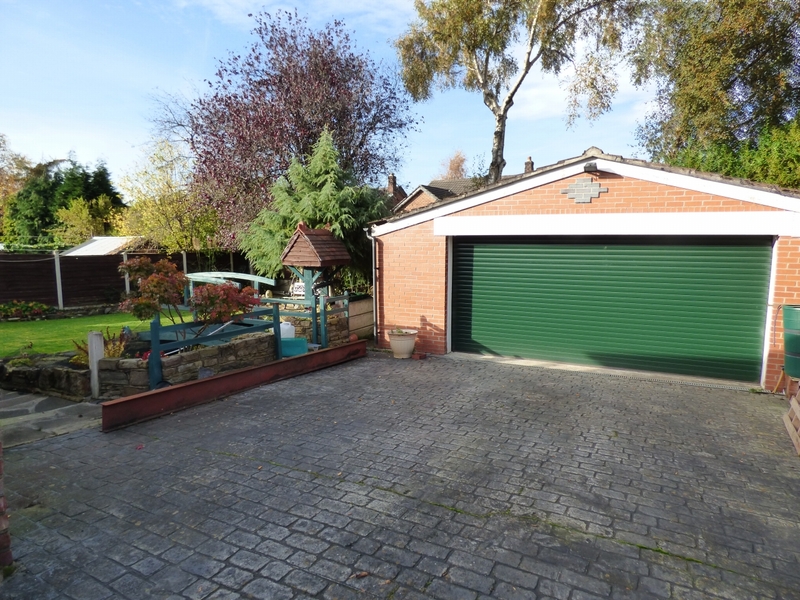 Double width garage with up and over door. 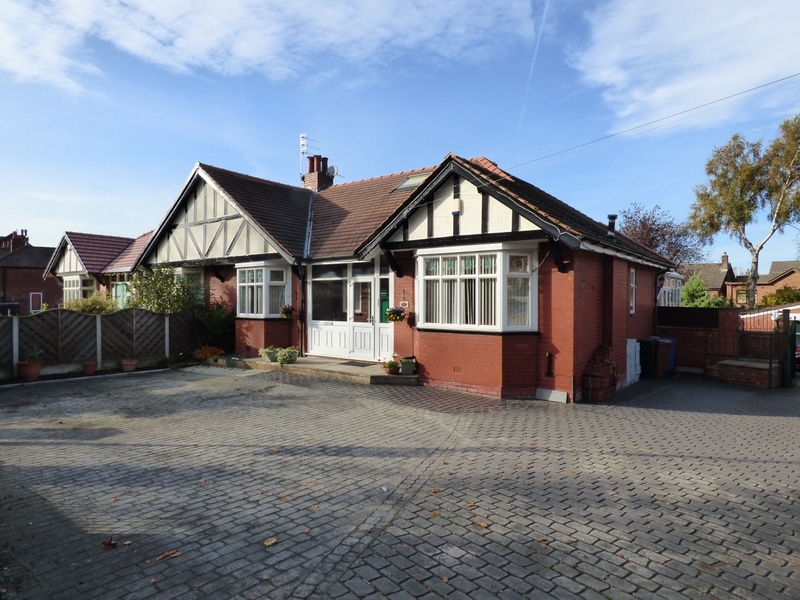 Travelling from our Hazel Grove office proceed along the A6 London Road in the direction of High Lane. At the Bulls Head Public House turn left onto Torkington Road where number 49 can be clearly identified by our For Sale Board.